This article is the final study of Daniel 7, which is a three part lesson. To read pt. 1, click here. To read pt. 2, click here. The second coming of Christ is spoken about in great depth in the Scriptures. Yet the Scriptures do not speak indistinctly about the great events taking place just before that scene dawns upon us. In fact, it is only because of the traditions and misconceptions of those who have not carefully studied the Scriptures that these things haven’t been properly understood. For this reason, the article will look at the little horn, the antichrist power, and the great scene of events unfolding in heaven which follows after the first judgment in 1798 AD. In the last two articles, we showed clearly how the pagan nations which reigned over God’s people in their captivity were represented by four beasts, and the absolute and unavoidable identity of the antichrist that has entered into the professed Christian church. Regarding the pagan nations, the first beast, like a lion, depicted the two phases of Babylon; one as a capital of Assyria. This was when king Manasseh was taken there in 677BC as a slave; from that time forward, the heathen kingdoms reigned over God’s people, taxing and oppressing them heavily. The lion fell, and the bear arose, signifying the Medo-Persian empire. Then the leopard with four heads, signifying the Grecian empire. Then the devouring beast of the divided Roman Empire, which in 476AD, had ten parts to it. All of these reigned over God’s people. 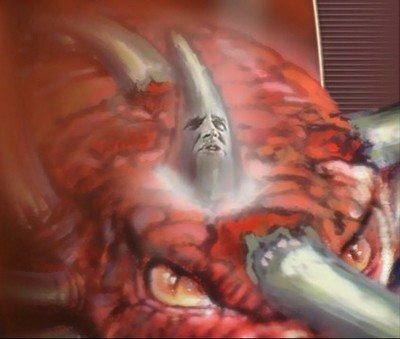 Each beast was symbolic of how man in the beginning lost his dominion of the earth, and fell to the serpent beast, which was lower than him, because of his sin. Likewise, the sins of Israel, who if faithful were to be sovereign, and independent “above all the nations of the earth” (Deut. 28:1), led to the their fall under pagan kingdoms, symbolized by beasts, reigning with a heavy hand over them. More than this, each beast was characteristic of the sacred beasts of the pagan gods; thus signifying the definite quality of their pagan dominions. This continued for 1260 years, until a new phase of power would arise to persecute God’s people. From the fourth beast of the divided Roman Empire, the diverse little horn, more proud than his fellows arises, claiming great authority to alter God’s law. In the last article, we clearly showed that it was the Papacy that clearly outlined all of these marked characteristics unmistakably. Far from being called as God’s people, through ecumenical councils and forced conversion, they forced unconverted pagans into the worship of the Catholic churches. By this means, the church was converted to the world, and pagan doctrines and forms of worship came into the church. This little horn made “war with the saints” for 1260 years, or “a time (1), times (2), and a dividing of time (.5).” This leads us to two dates specifically: 1798 and 1844. One date was the completion of the seven times of Israel; the other of the remnant of Judah. We saw in our lessons on Daniel 4 that when the northern kingdom fell into the hands of Assyria, it was for “seven times” that the heathen would reign over them; but in Daniel 7, only 3.5 times are mentioned as being under the Papal dominion of the little horn. Why was this? It was because 3.5 times of 1260 years were the exact amount of time the pagan dominion of the four beasts, which reigned before the little horn, reigned over God’s people as mentioned above. The little horn may seem like a small force to reckon with, but it actually reigned equally as long as the four great beasts before it. 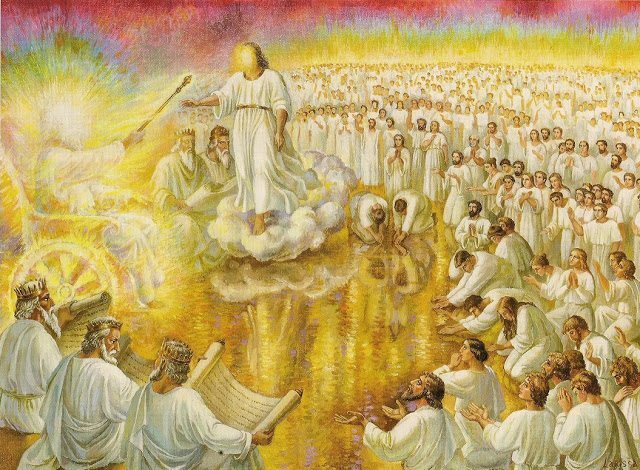 The heavenly tribunal seems to be connected with the time when the saints of God should receive their kingdoms again. In 1798, the period of waiting for Israel when they lost their land was over, and when the little horn had a preliminary judgment made against him. In 1844, the period of Judah’s captivity was over, but that captivity did not speak of the express loss of land, but the slavery of the throne of Judah, and the heavy hand of heathen oppression, which resulted many years later in the absolute removal of the crown of David and the loss of their land until it was to be given to the Lion of the tribe of Judah. 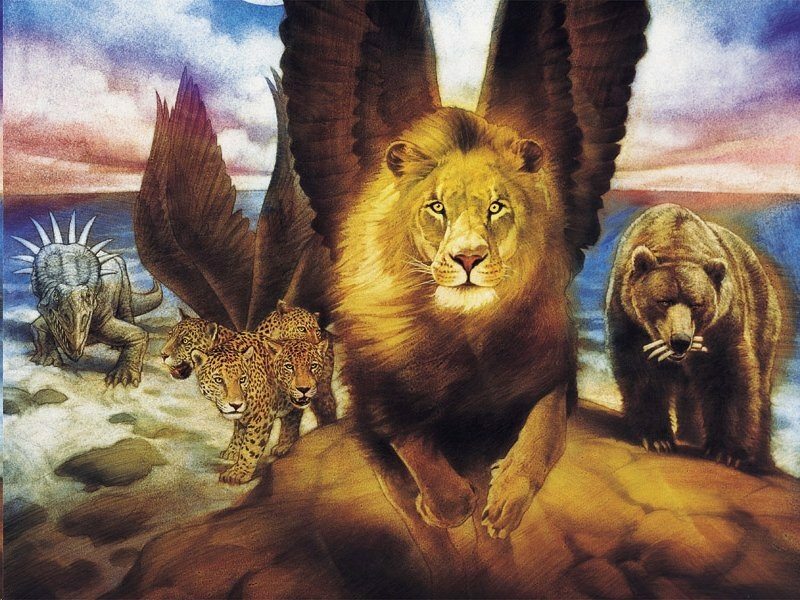 In connection with the great judgment scene, Daniel sees Christ, “the Son of man”, at the time of this judgment period, and he is receiving a kingdom and an everlasting dominion. In the Scriptures, it is referred to as the first angel’s message; the first portion of a threefold angelic message which goes to prepare people for the heavenly King’s return: “And I saw another angel fly in the midst of heaven, having the everlasting gospel to preach unto them that dwell on the earth, and to every nation, and kindred, and tongue, and people, Saying with a loud voice, Fear God, and give glory to him; for the hour of his judgment is come: and worship him that made heaven, and earth, and the sea, and the fountains of waters.” (Revelation 14:6-7) Before Christ’s everlasting dominion is established, this great judgment scene must finish it’s work with the final call to embrace the everlasting gospel. Christ will, at it’s conclusion, come, deliver the righteous living, raise the righteous dead, and execute judgment according to the law of heaven as the consummation of the event. Yet in Revelation 13, we’re given the exact details of the little horn power as a beast which integrated all of the Pagan elements of the previous beasts. We are told that when it’s dominion expired, it received “a deadly wound”, which sustained the loss of political authority in 1798. It seemed that the Papacy was going to be forever suppressed in it’s power, but the prophecy was given: “his deadly wound was healed: and all the world wondered after the beast.” (Rev. 13:4) So the little horn will receive it’s power back again, and we see that fulfilling now on the world stage. But the partial judgment made in 1798 will be more fully manifested. “I beheld then because of the voice of the great words which the horn spake: I beheld even till the beast was slain, and his body destroyed, and given to the burning flame…the judgment shall sit, and they shall take away his dominion, to consume and to destroy it unto the end. ” (Daniel 7:11) The judgment will destroy the little horn’s dominion for the boastful authority he claimed to possess. In 677BC: The king of Judah, on the throne of David, is carried captive into Babylon. In 584AD: The Papacy claims the right to the throne of David, who makes men captive to the doctrines of Babylon. In 1844AD: Christ begins receiving the throne of David as the Lion of the tribe of Judah, commencing a judgment which overthrows Babylon and it’s doctrines. This coronation event will end with Christ’s return, being seated upon the throne of His glory (Matt. 19:28). The pagan dominion reigned for 1260 years from the time of the ten tribes of Israel’s captivity in 722BC. At the end of this time, the Pope was given by emperor Justinian the throne of Rome in 538AD; exactly concluding the 1260 years of pagan dominion, and commencing the 1260 years of Papal dominion. This lasted until 1798 when the Pope, through General Berthier under the orders of atheistic France, took the Pope captive, and removing it’s boasted authority over the kings of the earth. Yet in the tribe of Judah, we have another set of 1260 years beginning from 677BC, and not 722BC. It was 1260 years later that leads us to 584AD; it was this year that uprisings were happening among the Lombards of Europe, but also the time when titles of church authority in Eastern Rome began to arise. To address this, the Pope reaffirmed his authority, and emphasis regarding Papal infallibility was declared. That was the Pope could not err in matters of faith and morals, and to him was given the seat of Peter, who was the successor to the Davidic throne. The essential declaration is that the Pope had the authority of Christ Himself, and sat upon the throne of David, as the representative of the Lion of the tribe of Judah. It was the church’s uniting with paganism, and the kings of this world that gave the Catholic church the title of in prophecy: “Babylon the great”. This papal power continued the Gentile legacy of ruling over God’s honest children, and leading them astray, all while claiming the authority of God to do it; thus the words were fulfilled that he “opposeth and exalteth himself above all that is called God, or that is worshipped; so that he as God sitteth in the temple of God, shewing himself that he is God.” (2 Thessalonians 2:4) In Babylon the great’s hand was the golden cup, but it was full of abominations, and the blood of the saints. Like Belshazzar, the Papacy took the pure golden articles of the Sanctuary, and mingled it with the pagan wine of heathen doctrines, and enforced them by the power of gentile kings. Thus paganism was Christianized and clothed in Christlike robes; it was concealed and not abolished. But alas, by the infallible decree of the Pope, her doctrines are immortalized, and punishable by death to the dissenter! This portion of the 1260 years from 584AD to 1844AD was the effect of Papal authority upon the faithful church of God until the tribe of Judah should have it’s seven times fully accomplished. Then Christ began to take the scepter of His glory, where the number of His kingdom shall be made up in the end of the heavenly judgment scene.